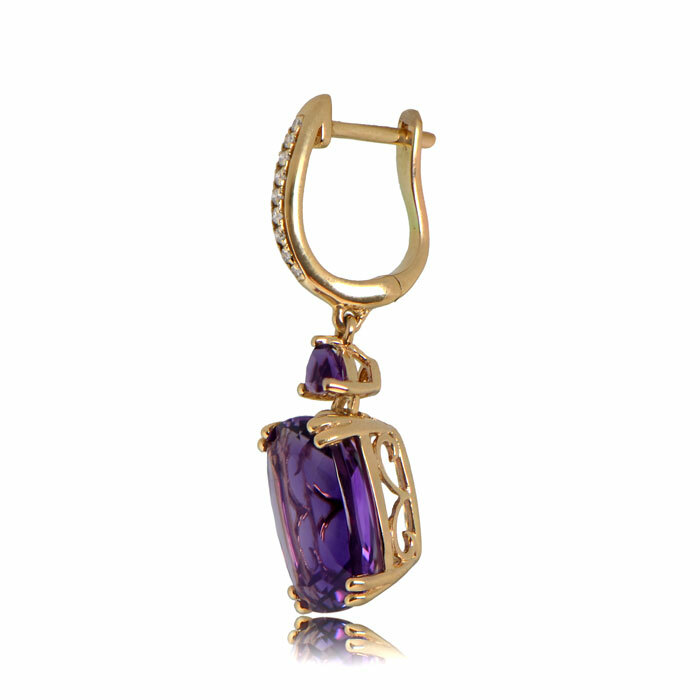 These earrings feature long cushion-cut amethysts, set in 14K yellow gold that is adorned with openwork filigree. 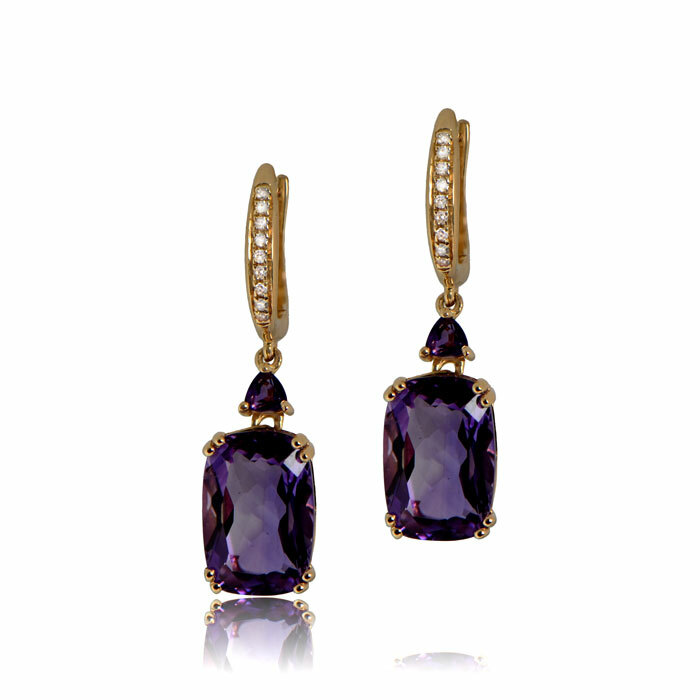 Diamonds adorn the tops of the earrings. 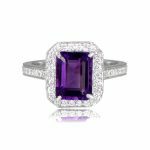 The amethysts have a total carat weight of 6.95 carats and the diamonds have a total weight of 0.07 carats. 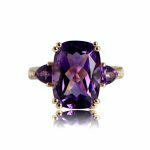 SKU: EY00098AM Categories: Amethyst Rings, Vintage Earrings - Contact us and request additional pictures.